Directed Colin Theys (Dead souls and Banshee!) for a low little budget of $750,000 and shot in Reno where a group of survivors are hid in a casino when the world is turned into a zombie wonderland. The film stars Miko Hughes (New Nightmare and Pet Sematary) as Jensen, our fave fringite Lance Reddick (Fringe and The Wire) as Ramsey and Grant Bowler (Killer Elite) as Tom. 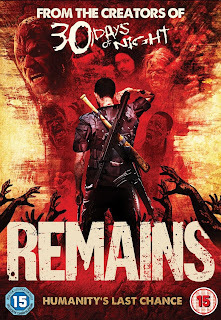 A reasonably enjoyable zombie Apoc film, it feels comic booky, gritty characters and all. When peace day is announced and a new nuclear oven is made to destroy all radioactive material you just know something is going to go wrong somewhere. When some people in Las Vegas get locked away from super nuke that happens they seem to be the only ones left. A plausible explanation for the event the only problem is seems some people get infected while others don't that’s the only niggle I had with this film it's inconsistency with infection. The beat off the dead in the casino they work in and proceed once two other survivors have joined their ranks to live off the food and supplies there in. This gave me the first jump scare that actually made ne leap a bit, the old loud noise wake up thing caught me right off guard here I must have been distracted! Supplies start running low but salvation seems to come in the shape of the army, who lead by Ramsey actually raid the casino for the remaining supplies. I say the infection thing was a niggle there was a little annoyance here in the scuffle they weren't going to leave them and yes some of the soldiers may have been a little ill, but I would have preferred for an amicable solution there than what happened. Anyway Tori seems to be showing some mental cracks about here, they make a last attempt to escape which ends slightly comedic there’s only her and Tom left. Until Cindy one of the army people and Ramsey's daughter returns a little later after the army has been overrun by smarter faster zombies in the desert. With C4 they remove the earlier obstacle of a garage door; well a truly cracked up Tori does at least and gets her attacked in the process. When Cindy and Tom are leaving, yes I know it’s not something I do, spoil endings I’m trying not to here, so all I say we're treated to a red cowboy booted even more advance zombie. 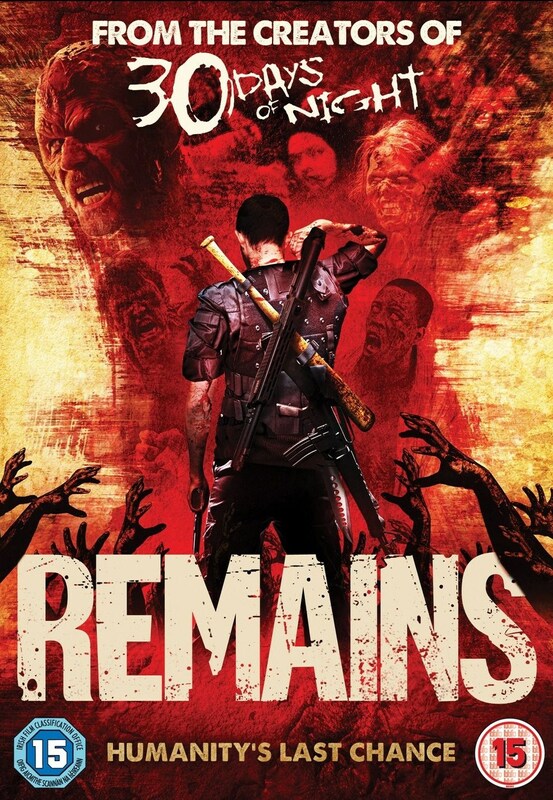 So that was that and I really enjoyed it as a decent zombie film though nothing super special happened in it good writing and some surprisingly decent actors and acting made it comfortable to watch. Was done on a little budget but they got some cream for what they invested in the film, this is only made obvious by the lack of locations and set pieces nothing else fails from make up to acting. All in all a good bit of humor and not a bad way to spend an hour and a half. Not usually a zombie movie fan, but this was a fun movie. I think the female lead, Evalena Marie did an outstanding job as Tori. The cast was great and the comic moments were unexpected and cleverly done. As you need to suspend reality to watch a zombie flick, all in all this was well worth the time.